All Princess models specific items. 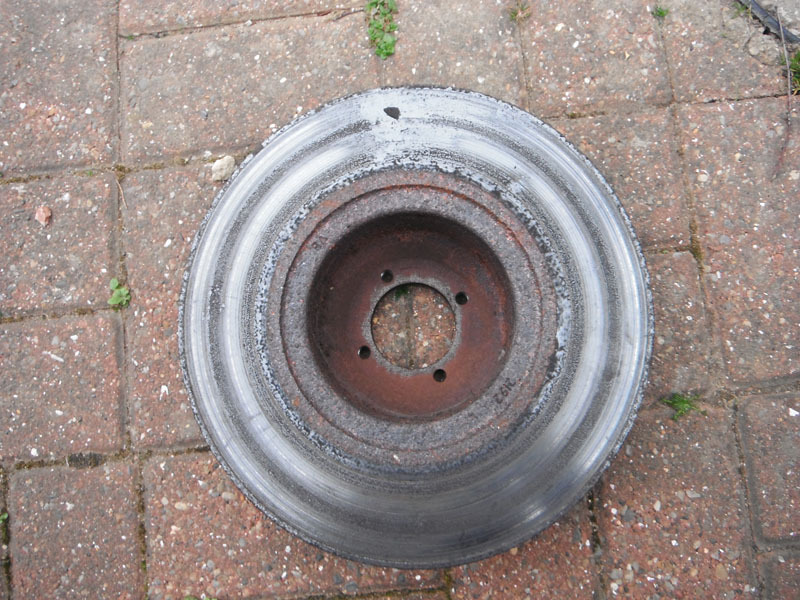 End of Week 16 - Unidentified noise finally identified when wheel bearing play was found. At the same time, it was discovered one of the CV boots (on the opposite side to the problem wheel bearing) had split. Parts ordered. End of Week 17 - couldn't undo the hub nuts because they're on far too tight for any of the tools and people I have access to. 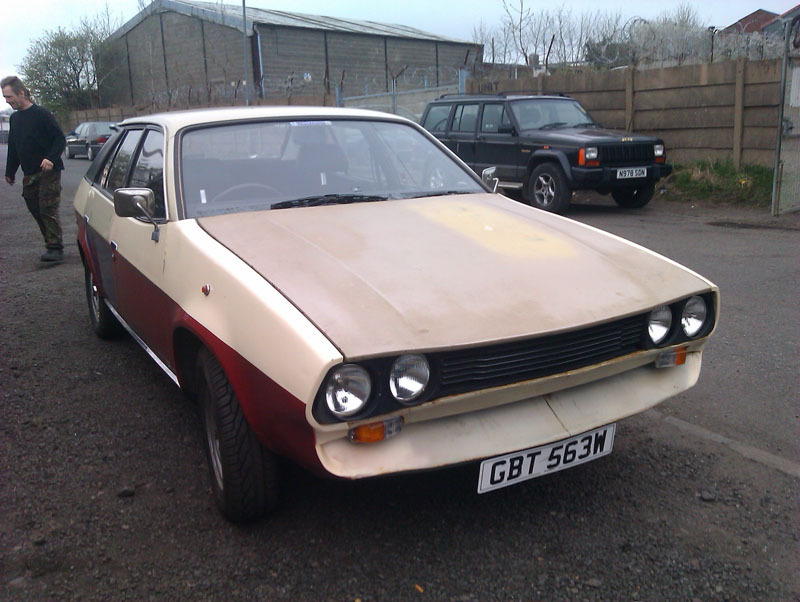 For the first time ever I've had to book the car in at a garage to have work done and, since the MoT is due at the start of April anyway, decided to get it all done in one go. Car was dropped off on Thursday and I've been without personal transport since. I don't know whether or not to regard this as the end of the 6 month experiment. We've done four months and this is the only thing I haven't been able to sort out myself. It's also the sort of repair job even much newer cars require, so it's not like it's a strange Princess-specific failure, or even an old-car-specific failure. I'll keep logging the weekly reports (when I remember) until the six months are up and then do a review, assess things on balance at the end of it. Oof. This week. 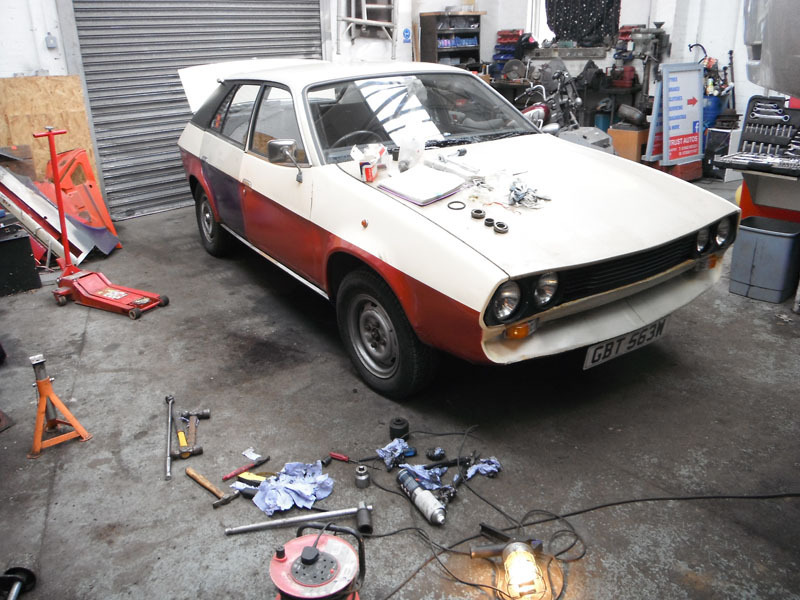 As I reported previously, the Princess was booked into an actual garage to have the repairs done and the MoT, since I couldn't do the former due to the hub nuts being way too tight, and could do the latter because I'm not an MoT tester. The hub nuts I really genuinely wouldn't have stood a chance with. The passenger side one came off eventually so that the wheel bearing and CV boot that side could be done. The driver's side, however, put up much more of a fight and took some tools out along the way. Annoyingly, of the two wheel bearing kits I'd bought only one was correct, and since there's nothing wrong with the driver's side bearing, it made no sense to damage it if possible since it was only boot replacement on the driver's side that was required. 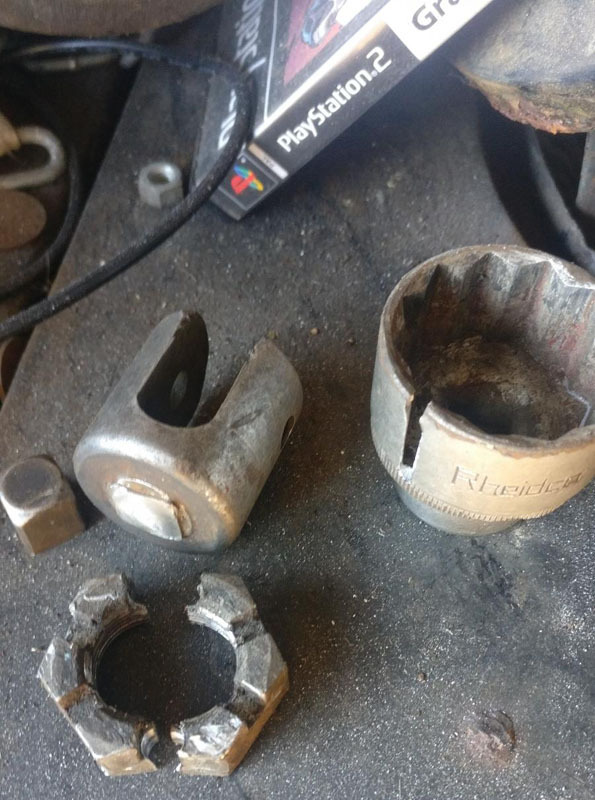 Fortunately, the garage knew what they were about and drilled the castle nut off after acquiring a suitable direct replacement castle nut and then the job went okay. This side will need a lower ball joint replacing, there's enough play in it to warrant an advisory, not enough for a fail, and had the part been more readily available it would have been done along with the rest. Instead, I need to track one down, which I'll do in due course. Tools broken, new parts fitted, car back together, all good. MoT passed with an advisory on the aforementioned ball joint and a little play in the steering column top bushing/bearing which again, is an advisory rather than a fail and unlikely to get worse. I'll replace the problem part when I can find out where to get one. All that done I could get a lift over and drive the car home. My next job would be brakes since I had a verbal advisory - wasn't serious enough to warrant an MoT advisory, but I do like to know about things that might be a problem soon so I can address them in plenty of time, keeps the car in the best health possible that way and focuses my attentions on what needs it - on one front disc which was a bit off, but not bad enough that it could be considered dangerous. NOTE: Fixed the video with a re-upload. Mostly it's a video of interest to me because I never see myself driving my car, for obvious reasons. Anyway, after a while the brakes felt very strange, the thumping had gone but they just didn't feel right. Sometimes they'd work really well, sometimes it felt like they weren't doing anything, after a few miles I pulled over, we called the garage and took it back to find out what was wrong. A quick look underneath showed a very hot disc which was also obviously warped. Presumably, resetting the caliper meant it was working properly but the disc was already warped, unknown to me, so it just made matters worse very quickly after a few miles. Because the garage wasn't really open today, only for me to collect the car, it couldn't be fixed and since I had broken down, I called the AA. Rarely for me I lost my temper on the phone. AA wanted to send someone out to investigate the problem before recovering me, even though they wouldn't repair the car at the roadside and even though it was already diagnosed. That seemed a waste of time but fine, whatever. Then, because I was on the street outside the garage where we'd inspected the problem they determined I was 'at a place of repair' and wouldn't recover me home. The parts I needed to fix the car were at home, not on the street outside the garage. I had, or thought I had, suitable cover to choose to be taken to a place of repair or home. But because of some daftness with terms and conditions, they flat out refused to recover the car. Great. Suffice to say I've dropped them like a hot stone because over the years I've been with them I've called them out 3 times, of those only once was I recovered (head gasket failure) and they wouldn't dolly the car because they didn't believe it weighed as little as it did so they faffed around with relay instead, which took FOREVER. I'll just use whatever my insurance offers, because it can't be worse and it's way cheaper. So much for the fourth emergency service. 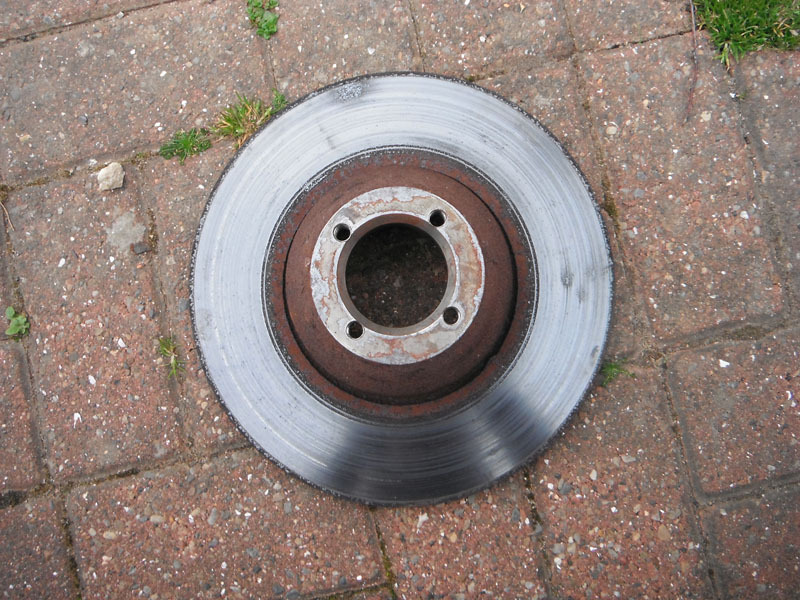 Anyway, the car was left at the garage, the parts will be collected/delivered to fix the brakes - fortunately I have spare discs so I don't need to fork out for new ones - and once fixed it'll come home. I'm surprisingly not angry about this, it's a thing that happened, fortunately I was with friends that could keep the car safe and get me home safe, and it'll sort. On the plus side, since fitting the new carburettor the emissions look very good, and overall the car is behaving itself so apart from this minor annoyance, we're still good. Addendum to the Week 18 update. Got the call from the garage to collect the car. A test run had been done to make sure the brakes were behaving properly and all systems seemed good. A good run back of about 40 miles or so. After a few miles it was very clear the brakes were indeed much improved so I decided to see just how much the Princess really would let me put the hammer down once we got onto faster roads. It was quite blowy on the A1M so it was a bit of a handful at 70mph, and clearly the car is happier in the 55-65mph bracket so I dropped down to that after a short time. 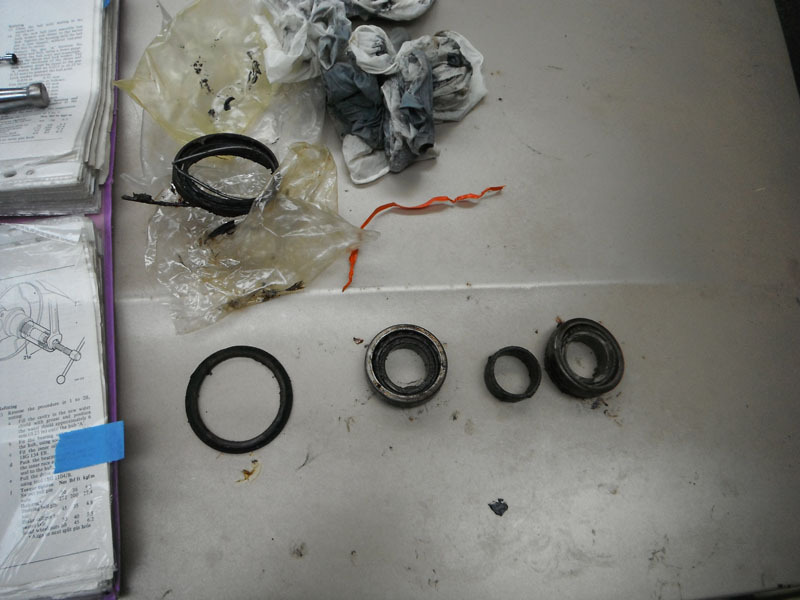 It also became clear that the driver's side front wheel bearing will need replacing soon, at higher speeds it's just started to make the same sorts of noises the passenger side one had. It would have been done at the same time as the other one had the kit I bought not been incorrect, so I'll order a new kit and DIY now I stand a chance of getting the hub nut off. There's also a slight vibration at 70mph that feels like one wheel is slightly out of balance, which is either that or the wheel bearing that I'll need to replace. Certainly, no real causes for concern on the way home and it was nice to be able to drive it again. One quirk I didn't realise the car even had was when it was mentioned to me that it was a bit awkward going from second to third gear, sometimes requiring a double de-clutch. I paid attention to my own gear changes on the way home and it turns out I automatically knock the car briefly into neutral when going from second to third, because if you try and force it straight from one to the other, it doesn't want to. I tended to have issues going from third to second, turns out I don't automatically drop into neutral between the two when I do that. I'm not really sure what could be causing this, perhaps something synchromesh related, but it's not a problem for me and certainly not something that makes the car dangerous in any way, so I'll leave it as is. The used spare discs I had were perfectly servicable once skimmed. I would still like to overhaul all of the front brake components and get them in the best health all the same, I just have a bit more breathing space on that now since it's £150 minimum to get the parts needed to do it all. Once shown the disc that was causing the problem, it was very easy to see the issue and clear that it was indeed warped as well as having a small piece missing just at the point of the warp. It's nice to have that sorted properly and it gives me a bit of education on what a warped disc feels like to drive with, and what it looks like, should it happen again. Good news the brakes are fixed - dodgy disc that. 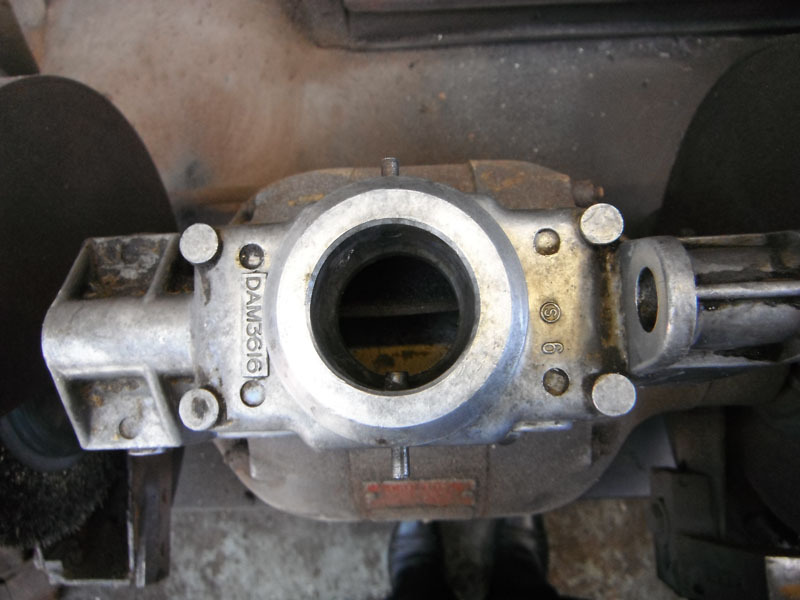 Any parts you might need for the brake overhaul we might possibly be able to supply. We're here to help. I need to figure out what parts exactly I have and what I need. I do have a spare pair of calipers I can rebuild and I believe I have a rebuild kit too. I would like a pair of new discs and a full set of new pads. I'll also need a front wheel bearing kit, a lower ball joint (is this the same as Metro? 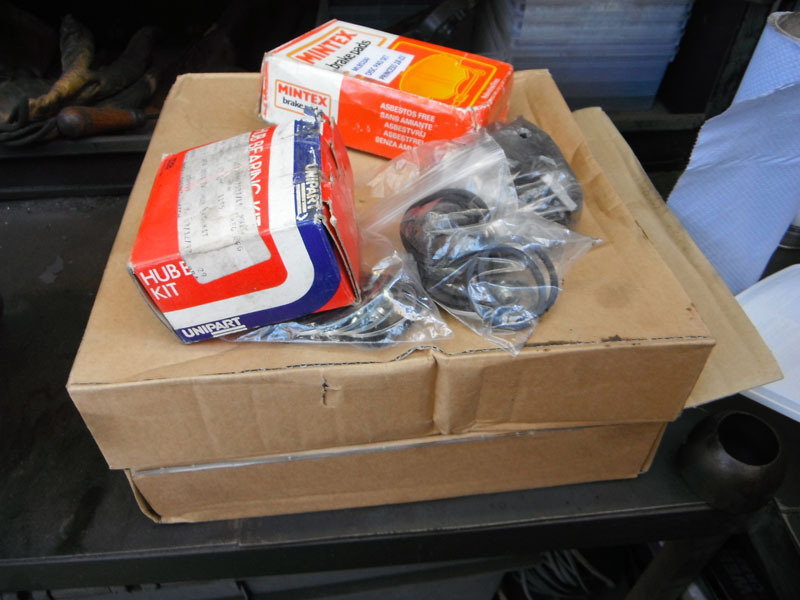 ), and an upper steering column bushing/bearing which I'm hoping is shared with something more common. Made a crude little video of the drive home, making use of housemate's dashcam. There’s a front wheel bearing kit on eBay if you need it. End of Week 19 report. Not a lot to report, the most exciting thing I did this week was vacuum the cabin and order parts. I've got new front brake discs and pads, I'm going to rebuild the spare calipers so they're good as new, a pair of lower ball joints are on their way and a new wheel bearing kit is heading over for the driver's side which has started grumbling. Thanks go to Beiderbecke for the help with the parts. I had a trip to York to do today, about 120 mile round trip, and while I trust the Princess could do it I didn't want to tempt fate with that grumbling wheel bearing given the distance and the higher speeds I'd be travelling at so I chickened out and got a lift in the housemate's Range Rover. This turned out to be a good idea as I wasn't feeling too well on the way home so it was nice not to have to do the driving. The trip to York was to collect a few interior bits for the BX and if I'm feeling better tomorrow, I'll be working on that for a little bit. Princess is still doing my regular duties, I'm just avoiding any sort of 50mph+ long drives until I've done the wheel bearing. Oil - 400ml required. This is likely down to the motorway mileage done recently, does tend to consume a bit when doing higher speeds. This week some goodies arrived. New brake pads, new discs, pair of lower ball joints, and a correct wheel bearing kit. Delivered, this was around £120, so a fairly big spend by my standards. The discs are one of the most expensive items to acquire, and one of the most needed. 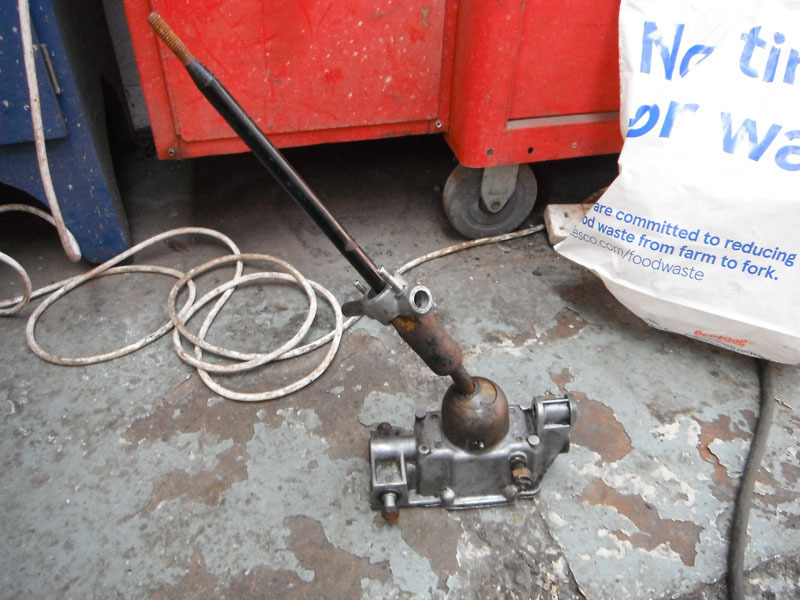 I also had a look at cleaning up my spare gear selector box. The one on the car has had a bolt in place of one of the pins all the while I've owned it and you need to periodically tighten said bolt if you want to keep gear selection. I was hoping I could simply clean down the spare and swap it over. Here you can see the pins that push into the casing. These are used to locate the bayonet-slot cup that holds the gear level ball and spring in place. The pins had a reputation for snapping off and while it's not terribly difficult to put another pin in, most folks seem to have bodged whatever they had to hand in there instead. One thing I noticed on my spare was that the base plate had been whacked from the side. I'm not entirely sure how you'd manage to do this other than perhaps hitting it with forklift arms when moving the car around, so perhaps that's what happened. Unfortunately, when I finally cut through the thick layer of gunk on the casing I found that it's very badly damaged with several cracks. It's realistically beyond repair and certainly not suitable for swapping with my original so I'll just have to look at getting the original repaired properly with a new pin when I have an opportunity to take it all apart. The other thing I wanted to find was a new steering column bush. 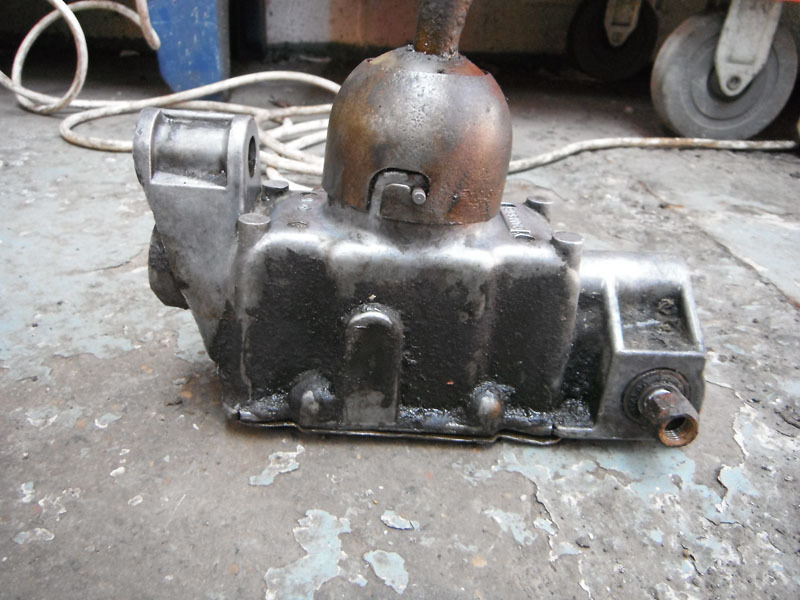 Thankfully, Beiderbecke of the www.leylandprincess.co.uk club had the part number available (along with those goodies at the start of the post) and I've since learned the same bush is used on a variety of BL stuff and is still readily and cheaply available. I can get the bottom bush too. This was an advisory on the MoT and I'd like it not to be on the next one so I'll get some new replacements since they're only a couple of quid. 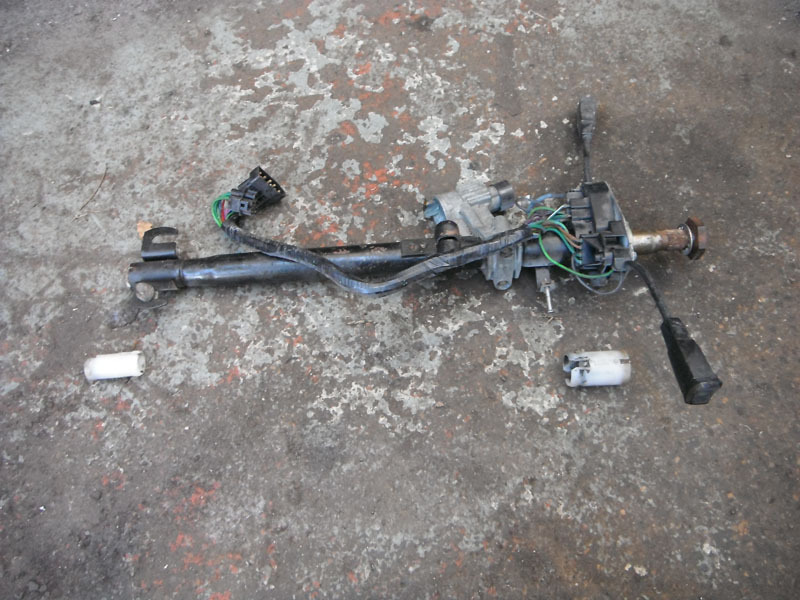 Fortunately my spare steering column helped me see what parts I needed without taking my car apart. Today, I tackled the wheel bearing that couldn't be done at the garage because one of the kits I'd bought was wrong. I'd been told the job is fairly easy and it is, especially when the garage has already undone everything and put it back together again, so it was really about as pleasant as any job with your head in a wheel arch can get. 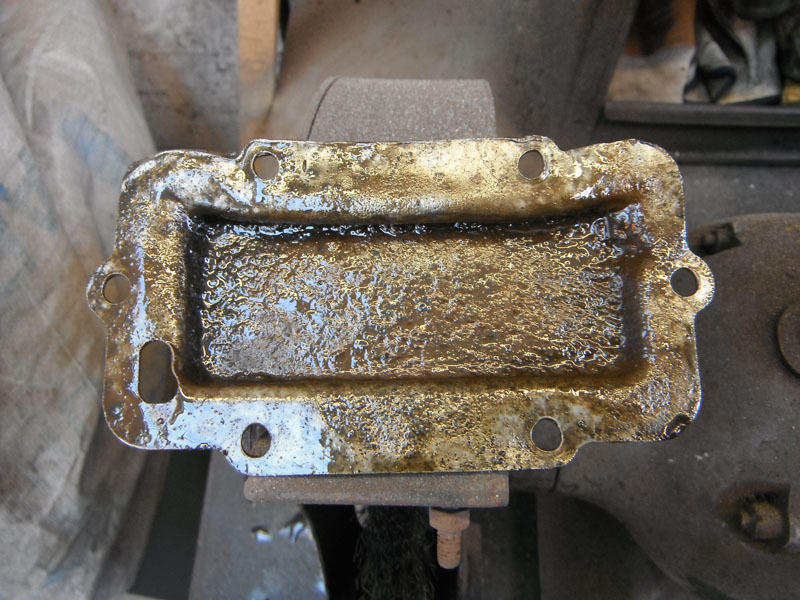 The most difficult part was getting the old oil seals out, the rest of the job was very straightforward. 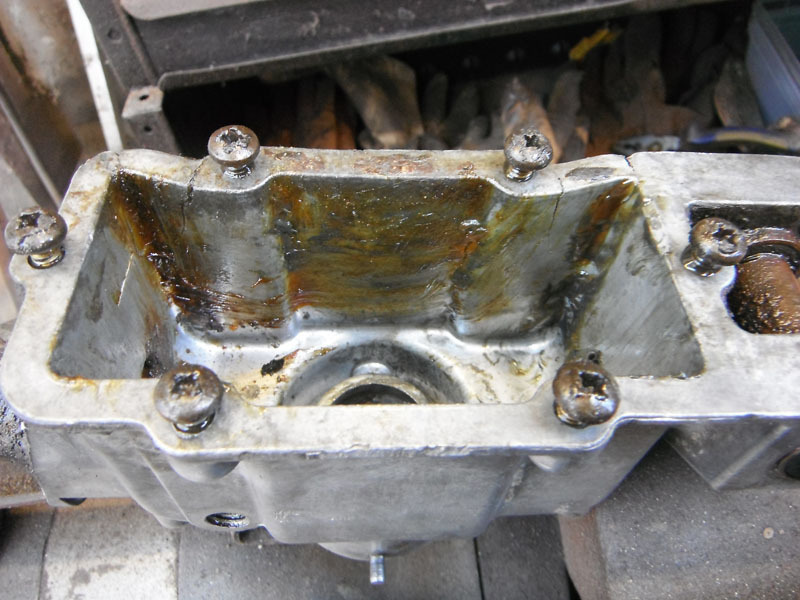 The old bearings felt a little bit gritty once removed and the noise it had been making made it clear it was ready to be done. I would have liked to do the ball joints next but I didn't have a socket that was the correct size, all the imperial and metric sockets I had access to were just a little too big, or just a little too small, so I'll have to go and buy a socket just for this job. That's fine, more tools is good. 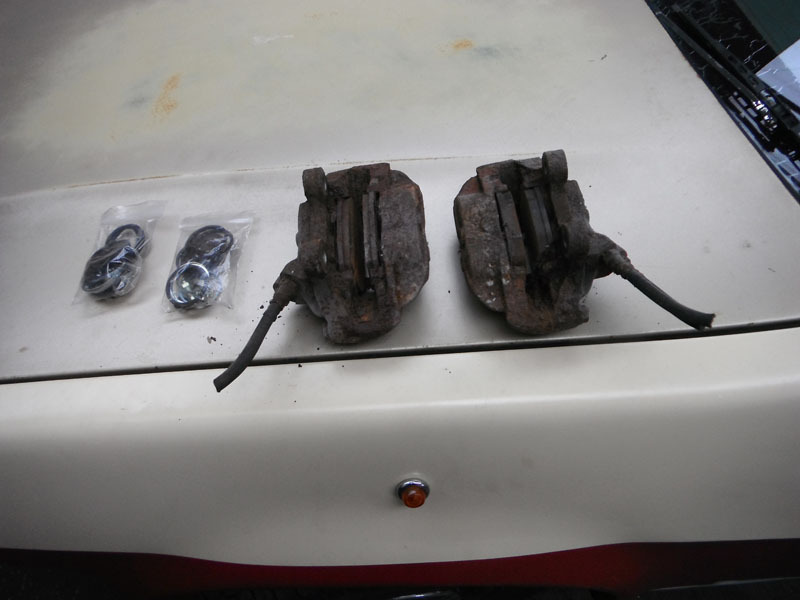 Instead, I turned my attention to the spare front hubs and removed the calipers ready to rebuild them. I noticed that the caliper on the car that was on the warped disc is sticking a little as suspected, so the new brakes are going to sort that out before it becomes a bigger problem any time soon. The front flexi hoses looked in reasonable condition so I'm hoping I don't need to replace those since I'm not sure I've got a set of fronts, just rears. I noticed that one of the spare calipers looks to have barely used pads in and one caliper is much cleaner and newer looking so I wonder if the car they came off had brake work just before it came off the road in the 90s. Don't worry, I won't be re-using the old pads, it's merely an observation. The drive home revealed all the bearing noise is now gone. 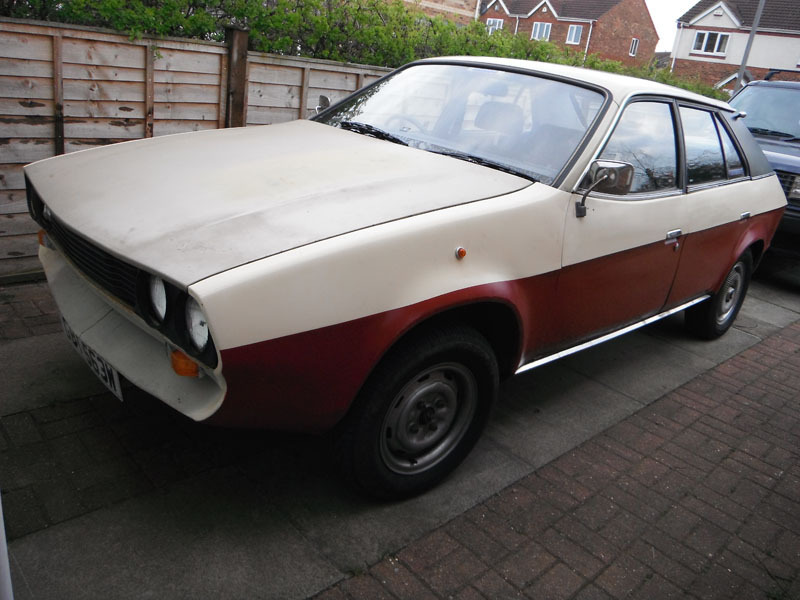 Now the loudest thing is the noisy speedo cable, (I have been given a suggestion on how to improve that which I'll be trying soon), the tyres, and the wind noise from the driver's door window seal, so I'm getting down the list. I even found the reason for the tyre rubbing on the arch liner, which is that the liner had cracked around one of the fixing screws and the screw had fallen out, so the liner isn't sitting as far back in the arch as it should. There's always jobs to do, they're just not big scary jobs any more. Thanks for your kind remarks and to say the balljoints fit either top or bottom arms. A shame about your spare gear selector casing. As you say, very odd damage and I can't think of any other explanation other than your supposition about it being forklift damage. The selector pins are something that family members that experienced cars with that told me had a reputation for breaking. That said, other folks have said they never had a problem. Perhaps there was a bad batch. I have seen one where the bayonet cup had sheared a locating tang off completely and couldn't figure out how you'd manage to do that. Today I was hoping to get the brakes and balljoints done and have been thwarted by having to order things to get the jobs done. Things like the correct size socket which nobody carries in stock locally, and the brake pad shim/plate/anti-rattle things that I thought I already had, but didn't. Lots of bumbling about today as a result, trying to find stuff and not getting very far. Car is behaving very nicely, it's probably entirely imaginary, but it feels like it rolls smoother than it did coming to a stop, and of course it's nice not to have that odd noise worn out wheel bearings make going on all the time. It's a jolly thing to trundle about in. Both acquired and the massive socket has already been used in anger. I'll do a proper end of week report later, but since I'm here I can tell you that the advised balljoint is now replaced, I had to swap the neverending spring from the old balljoint to the new one, because the bigger O-ring on the new balljoint wasn't strong enough to hold the boot in place. I'll do the same when I do the other side. Ran out of time to do the other side today before I had to be at work because it's in really tight and I need to fight a bit with it. Other side wasn't advised, but I like to do things in pairs on suspension if I can. Distributor O-ring has failed again which is doing a great job of weeping oil down the front of the engine which I'm not thrilled about. That might go some way to explaining the apparent increase in oil useage and the slightly larger oil spot under the car recently. It's not pouring out and it's not fouling the plugs, but it's something I'll have to replace yet again, I've been having trouble finding a thin enough O-ring of the relevant diameter, usually I have to use one that's ever so slightly too thick because the next size down is too thin to seal. Alternator/charging issue wasn't an earth issue as I'd suspected, it's the alternator itself. The reason I've not been able to pin that issue down is because the alternator is intermittently not charging correctly, we had to leave the tester hooked up with the car running for a little while before we saw the problem. The alternator is putting out normal charge most of the time, and then occasionally dropping to very little charge and even less occasionally providing too much charge. I'll get a new alternator. The one on the car was fitted just before I bought it since it was believed that was the cause of the other electrical issues at the time which were actually almost all bad earth issues. Having done the balljoint and the steering column bush has helped tighten things up a little and got rid of some minor noises I couldn't pin down. Feels like I'm having a bit of a big spend at the moment. It seems a fair few older components are just reaching the end of their life so I expect I'll probably have to do the upper ball joints next. I know I've got to do the oil and coolant soon too, they're almost due, and the brake fluid will get done when I get the spare calipers rebuilt. It's difficult to find the time to do it all while I'm using the car and while work has suddenly picked up a lot, so my free time is usually at this end of the day, which isn't exactly ideal, thanks to my odd working hours.